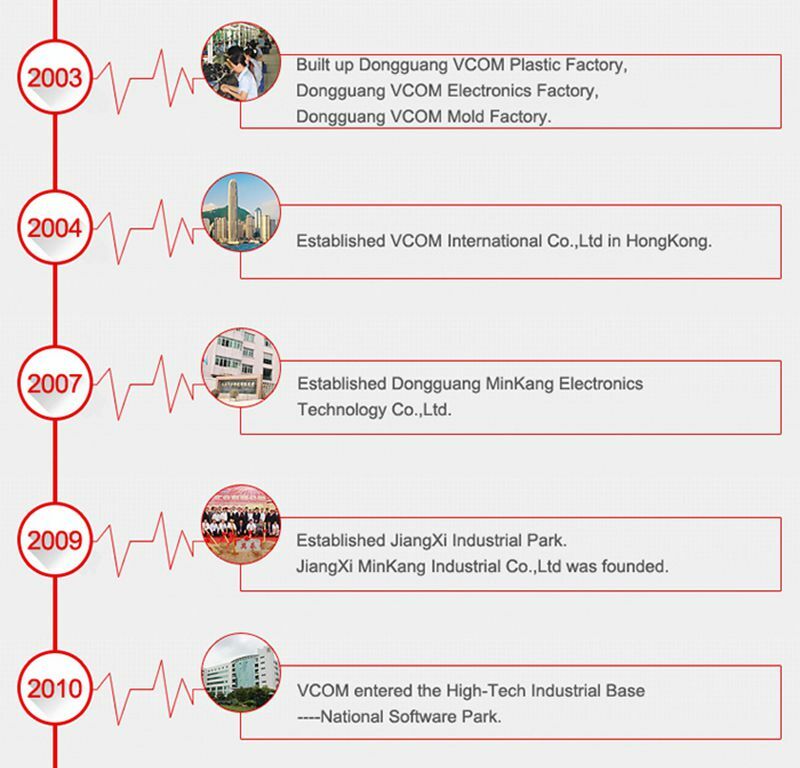 VCOM, established in 1994, Dongguan, Guangdong Province, specializes in manufacturing and developing computer/network cables & wires, computer peripherals, Telecommunication cable and connector, etc. Having experienced 20 years rapid growth and cooperated with international outstanding enterprises, we have mastered the most advanced and matured technology in this field. On this base, we have set up a perfect operation system that from information collecting, product development, design and production, to sales and after-sales. We have over 200 distributors in 90 countries all over the world. Especially the Russia, South Africa, Turkey, Poland, Iraq partners are exclusive in VCOM. Vcom company has set up 3 manufacture bases and 4 companies, including cables & wires factory and Jiangxi branch factory, Connector factory and PE factory. Therefore we have set up the system from PE produce, cable assembly & connector, marketing and sale-after service. ISO9001 and MII of P. R. China have approved our products.